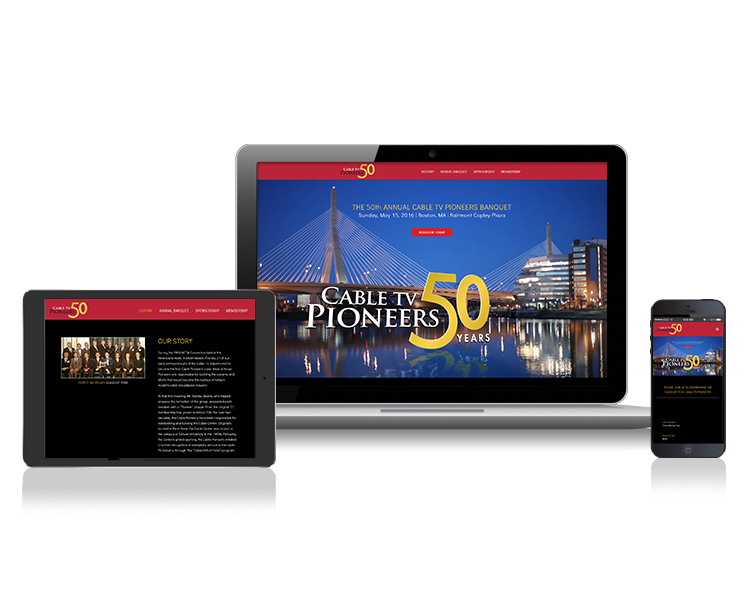 The Cable TV Pioneers kicked off their 50th year with their annual banquet preceding the 2016 INTX Show in Boston with a commemorative logo and the launch of a new website created by PK Network. PK President and Pioneer member of the board, Pat Kehoe is a strong advocate of working pro bono on projects with organizations that build the cable and broadband industry, so the Pioneers’ anniversary was a campaign we were proud to develop. The inaugural Cable Pioneers class was inducted in 1966 in Miami Florida during that year’s NCTA convention. Those 21 original inductees were responsible for building the systems and MSOs that became the core of today’s cable broadband industry. 50 years later Pioneer membership has grown to upwards of 700. Doing our part to help in this celebration, PK Network designed the Pioneers anniversary logo as well as their new website. Here’s to another 50 years of the Cable TV Pioneers!